The discovery of Lucy, our oldest ancestor, by a team of scientists in 1974 placed Ethiopia high in the minds of many travelers. But news of famine and a civil war that waged for 15 years kept Ethiopia off the radar for some time. 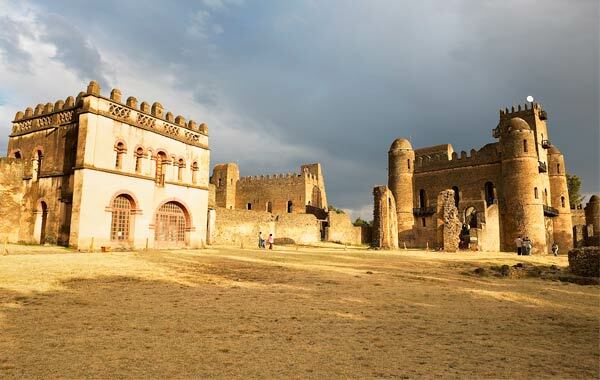 All of that is changing with renewed interest in its storied past and government support has helped Ethiopia gain force as a must-see destination for those seeking authentic and transformative experiences. Ethiopia is home to nine UNESCO World Heritage sites and abounds with rich history, spectacular landscapes and majestic architecture. In recent years Ethiopia has refocused its attention towards international endeavors and tourism has seen a major push. In 2013, the Ethiopian Tourism Organization (ETO) was formed to provide direction to the industry, road systems are being rebuilt and modernized, the international airport is expanding and adding networks, the capital implemented a new light rail system, and eco-lodges/hotels are popping up all over the place. If it wasn’t before, Ethiopia is certainly primed for travel, and here’s why you won’t want to miss out. Addis Ababa (and surroundings) Route: (perfect for those seeking more up-scale accommodations and urban attractions). Addis Ababa, the world’s third-highest capital city, stands tall, yet is deeply rooted in tradition. 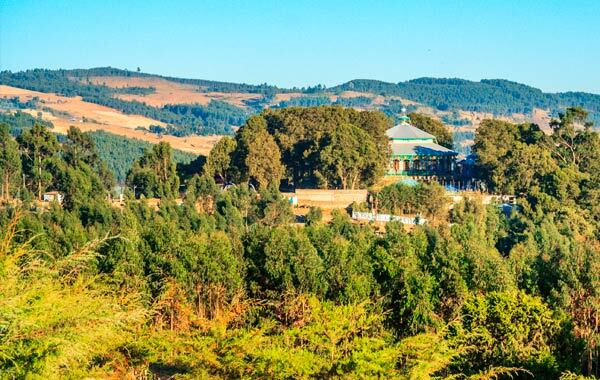 For most, Addis Ababa is a stop-over for other destinations within Ethiopia but it has appeal all its own. If you’re limited on time and looking to do a shorter itinerary, the Addis Ababa route, provides the perfect introductory mix to Ethiopia, offering a bit of everything without having to leave the comfort of urban accommodations. Tour the historic churches of Entoto Hills, visit the National Museum of Ethiopia, hike through the Menagesha National Forest (the oldest conservation area in Africa), and explore the engraved megaliths in Tiya, shop at Africa’s largest market and more. Known by travelers as the historic route, northern Ethiopia is a land of green mountain-studded terrain, cascading waterfalls, strewn with ancient monasteries and towering castles. If you’re looking to get the full experience, your best bet is a longer itinerary rounding out at about two weeks (travel time included). From the towering stone pillars of Aksum (once inhabited by the Queen of Sheba) and the monasteries of Lake Tana, to the ancient castles of Gondar, the rock churches of Labilela and the vast wilderness of the Simien Mountains northern Ethiopia offers travelers the opportunity to peer into the vestiges of ancient civilizations, while trekking through some of Africa’s most beautiful mountain terrain. Eastern Ethiopia is a region of varying geographic extremes and is perfect for those seeking adventure, exploration of rugged landscapes, and birding hotspots. The Danakil Depression, located in the Afar Region of northeast Ethiopia is one of the hottest, driest and lowest places on the planet. This is where archaeologists discovered the remains of Lucy and other early ancestors. The climate is brutal, but the landscape astounding, characterized by bubbling lavascapes, salt-flats and multicolored geysers. The walled historic city of Harar, is said to be the fourth holiest city of Islam and is home to an impressive number of mosques, shrines, busy, spice-filled markets and cafes with some of the world’s best coffee all set against a backdrop of deserts and savanna. Travel to the highlands of eastern Ethiopia and you’ll find yourself in the Bale Mountains, Ethiopia’s most important biodiversity hotspot. The park features excellent hiking trails, and excellent wildlife viewing. Ethiopia is home to a recorded number of 863 bird species, many of which can be found in the Bale Mountains, among them endemics like the Blue-winged Goose, Spot-breasted lapwing, and Yellow-fronted Parrot. 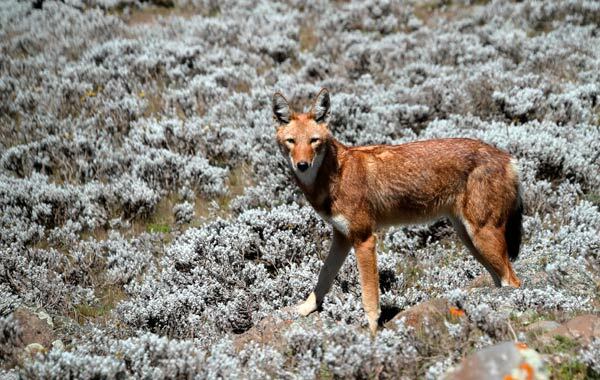 The National Park is also home to the Ethiopian wolf, the world’s most endangered canid. Western Ethiopia is a nature lover’s paradise waiting to be discovered. Spend time exploring the wilderness of the Kafa Biosphere Reserve, home to over 5,000 species of plants and over 300 species of birds. Close by you’ll find the Yayu Coffee Forest Biosphere Reserve, where species of wild coffee still grow free. Gambella National Park serves as the site for the largest antelope migration as well as some excellent birding, providing refuge for species like the Shoebill and Egyptian Plover. Has Ethiopia been on your destination watch? Whether you have an interest in natural history, anthropology, birding or cultural discovery, reach out to Holbrook if you are interested in learning more. Contact Christopher Bensley at chris@holbrooktravel.com.